The moment a woman informs about her pregnancy to the family, every single person in the family brings up with a suggestion on how to take care of the baby, how to handle the baby and most importantly which brand of baby product should be used. It would be really nice if a simple test for babies soft skin could determine their quality. The market is flooded with huge brands of baby products which claim to be gentle and safe of baby’s skin, but the reality is not as they promise. Almost all the baby products contain a high amount of harsh chemicals which can lead to several health issues like cancer, the toxin in the reproductive system and other skin related problems. Among all the baby care products baby wipes are very helpful for the new mommies. Mothers make use of wipes almost every day to clean their little one and also to ensure soft skin. Wipes are highly used to clean baby poop after the diaper every change, many uses wipe to clean baby’s hand, mouth, and feet after the meal. In addition to it wipes comes handy to clean the baby’s during cold climate. A perfect companion during travel as it is easy to carry and a hygienic option to clean new-born babies.But the reality is many baby wipes contain polyester and it can be too harsh on the velvety soft baby skin. Prolonged use of polyester can lead to skin allergies and also rashes. How To Determine the presences of polyester in baby wipes? You don’t want risk your baby’s health by making use of chemical loaded polyester wipes, a simple test for babies soft skin can be done at home using a basic things. 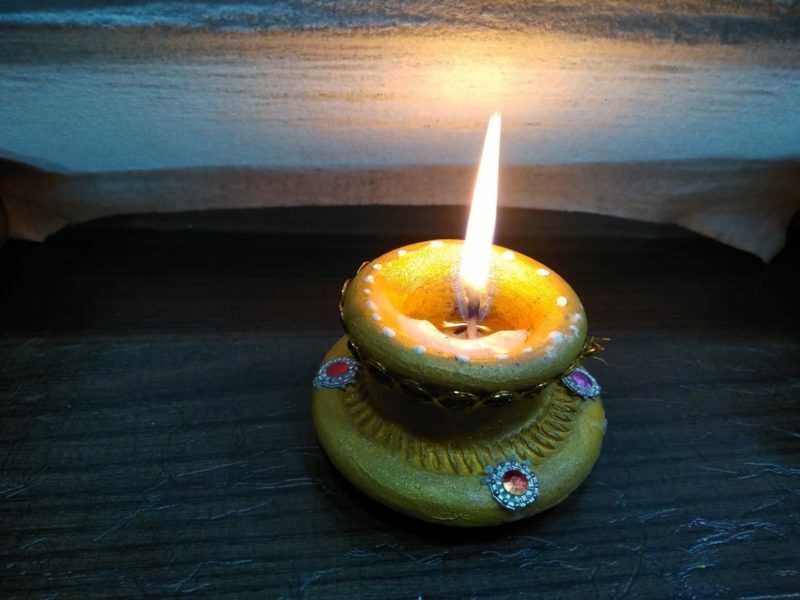 A flame test is a simple test which doesn’t need any fancy products or scientific setup. All you need is the baby wipes, candles, and matchbox. A flame test is enough to check the presence of polyester in the baby wipes. Make sure you pull out the wipes and allow it to dry for few minutes. It will help to conduct the flame test better. Now, you need to put the baby wipe on fire, allow it to burn for a while and watch it. 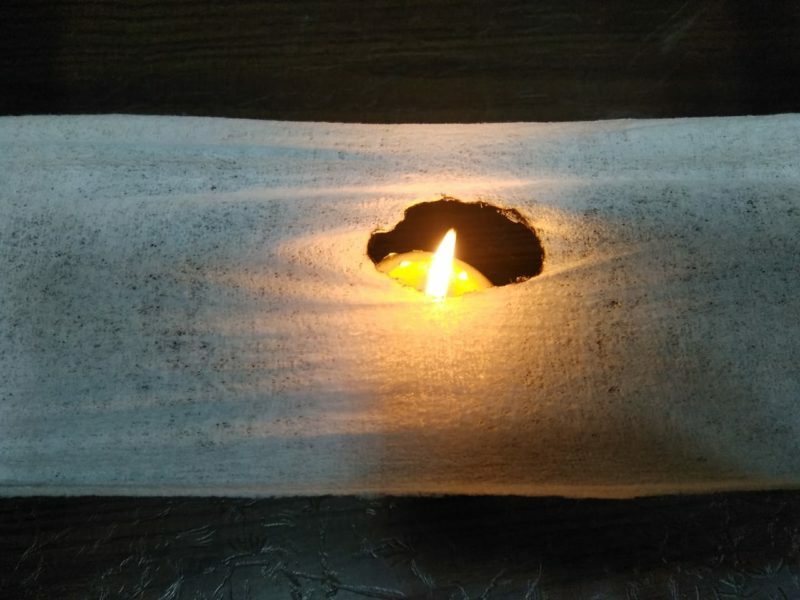 The most crucial part is to notice the smell while burning the wipe, if you get the smell of burnt plastic then there is the presence of polyester in the wipes. After burning the wipes if you notice that the final residual of the burnt wipe as a black and sticky substance then it validates that the wipes are made using polyester material and it is totally unsafe on baby’s skin. 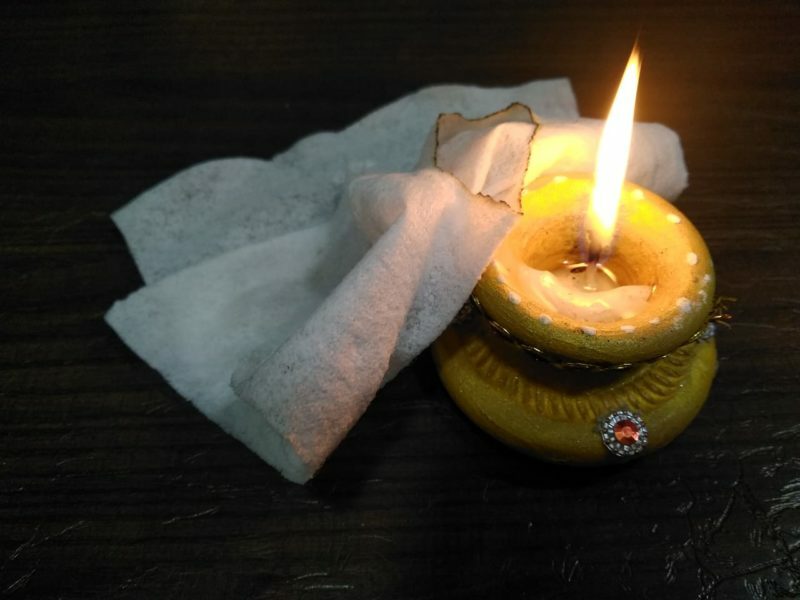 I conducted the flame test on Mother Sparsh wipes, there was no burnt smell of plastic and the wipes burned into ashes, which you can notice in the pictures too. 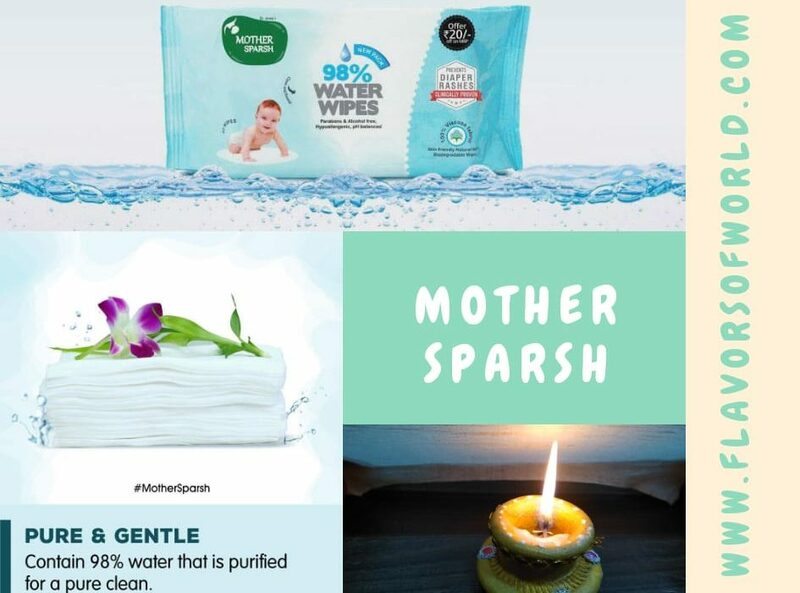 The Mother Sparsh 98% water based wipes claimed to be made with biodegradable materials and are non- polyester and it is clearly evident from the flame test.  The baby wipes are 98% water based wipes and are made with Natural Plant Fabric.  100 % biodegradable and claims to prevent diaper rashes. As a mother, I prefer to use chemical-free products for my baby. You can conduct this simple test for baby’s soft skin and validate the baby wipes via flame test. This is my sixth post in the #MyFriendAlexa Campaign-India’s first and World’s Second only Blogging event. Very effective test got to know the first time will definitely try . New learning from this post, very informative thank for suggesting good product for babies delicate skin. Mother sparsh wipes very promising… Me also using it for my daughter… Thanks for sharing such a nice review.. I am using mother sparash baby wipes for my baby.. No doubt it is awesome products.. And I also gifted these to my sister for her new born baby… She is also very happy by using it… Thanks for above information ..
Oh wow.. It’s really works.. 100% biodegradable.. Mother sparsh wipes r good for my baby skin. I like its mild smell. Thnx Priyanka for all useful information ..
Well demonstrated….keep it up ? That’s a great way to judge the quality. Kid’s skin need utmost care n this product is great. Amazing and beautiful post. Mother Sparsh is the trusted brand and quite affordable. Mother Sparsh water based wipes are absolutely best for soft and delicate skin of kids. Great thoughts.